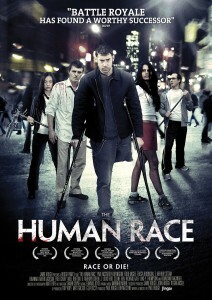 My Quick Review: The Human Race is clearly inspired by Stephen King’s novel, “The Long Walk” but has its own “spiritual” twist, or so would the producers have you thought. 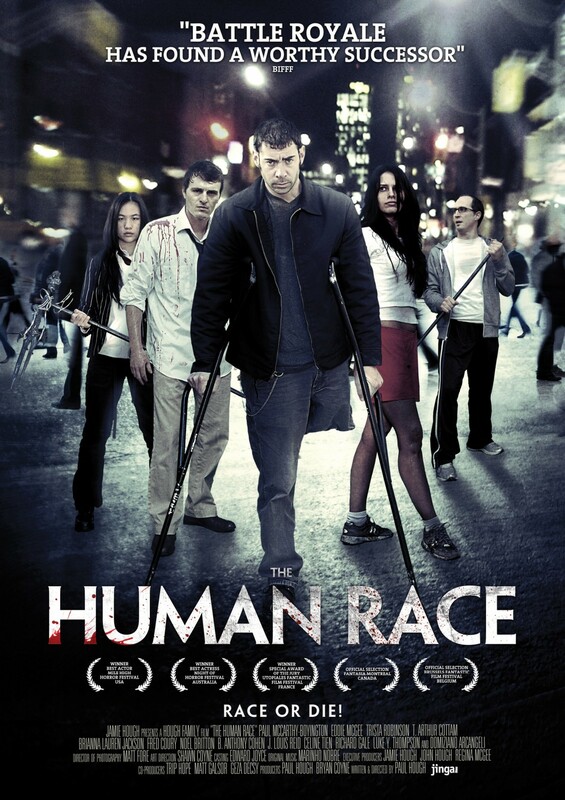 Clearly a very low budget indie movie (apparently shot within the span of 4 years) The Human Race is showing us humans at their worst: when faced with death, there is indeed not much humanity left in most of us. There is nothing new here when looking at the themes on display and the script is thin as cigarette paper. It also does not help that most of the acting is off and/or down right annoying (looking at you, deaf couple) and that the gore is mostly limited to one special effect used over and over again. There are some nasty things on display here (especially one scene involving a pregnant woman) and I actually liked both twists (the one in the first 10mn and the one in the end) but is it enough to actually recommend this movie? Hard to say but it was entertaining enough and a nice escape from the usual slasher/found footage/zombie movies we usually get these days.